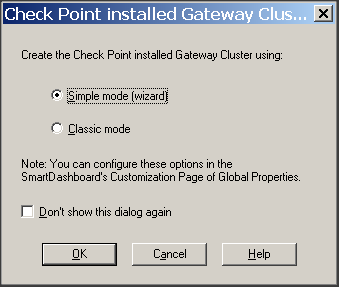 Basically, there are two main options in configuring Check Point Cluster. In order to configure Check Point with High Availability (HA) solution, we need to have two identical Check Point machine. 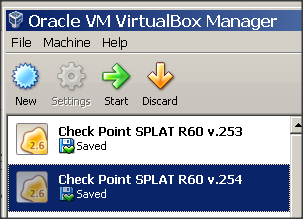 Since everything is created in VirtualBox, creating another identical machine is so easy. Just right click on the machine that you wish to copy, and click Clone. You can also use the combination of Ctrl+O to clone it. Now you already have two identical Check Point machine. Everything is copied exactly as a parent machine including IP Address. Therefore, the first thing you need to do is to change IP Address as it will cause IP conflict issue if both of them are located in the same network. 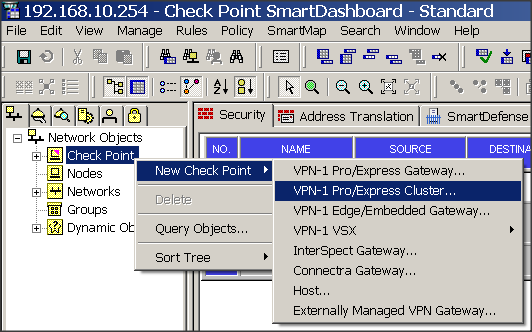 Use sysconfig menu to change IP Address of the Check Point box. Please refer to the link below how to do it. Currently, I’m still reading the User Guide in figuring out what to do next. :). I also discussed this matter in CPUG forum to get help from Check Point expert there. Its not clear from the screenshots, but was the initial firewall set up as an object in your smart center server? if not, you will need to create objects for both firewalls individually, and set SIC and all that. Make sure the devices were set up as Security Gateways only (not Security Gateway and Management Server). 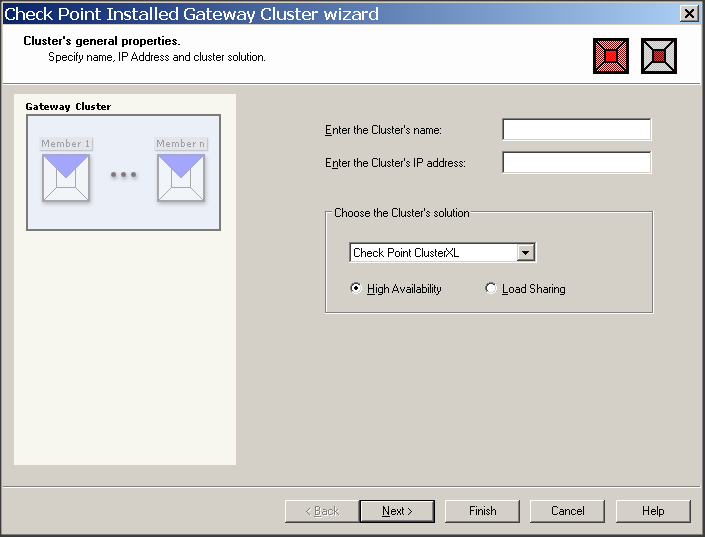 Once this is done, then you may create a cluster and add them as the participating gateways.